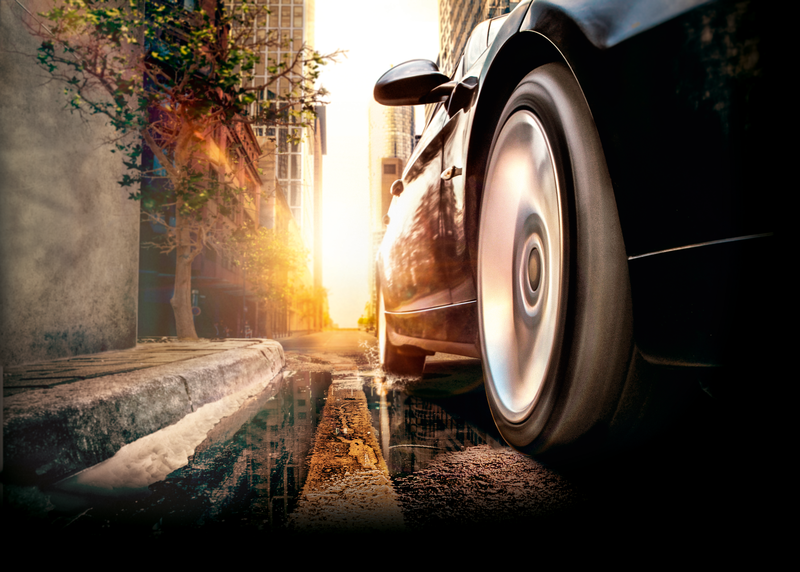 With the new AllSeasonContact, Continental is offering a tire for urban use in moderate weather conditions. For this all-season tire, Germany’s leading tire manufacturer has come up with an innovative blend of tread design, compound, tire contour and construction. In this way, Continental has achieved a considerable reduction in the weaknesses previously present in the winter and wet-weather properties of tires intended for all-year use, while at the same time the AllSeasonContact offers the best fuel efficiency in the premium segment for all-season tires. The new AllSeasonContact has been available from dealers since the beginning of May. For the first year, Continental is starting out with 33 articles for rims from 14 to 18 inches and approved for speeds of up to 240 km/h. As a tire that is also suitable for use at colder times of year, it bears both the snowflake/alpine symbol and the M+S marking. On the EU tire label the new Continental tire scores a B rating for wet grip and rolling resistance. Continental sees the new AllSeasonContact as a tire suitable for drivers who cover lower mileage and drive in and around urban areas in moderate weather conditions. For all other drivers, in the interests of maximum road safety Continental continues to recommend fitting tires that have been specially developed for the relevant season. The focus during development of the new AllSeasonContact was firmly on good winter-driving characteristics, safe handling in all weather conditions and excellent fuel efficiency. With a perfect balance between these individual tire characteristics, the new directional tread all-rounder lines up alongside the other successful products in the Summer- and WinterContact family. For winter use, Continental’s chemists have developed a silica compound with a high proportion of resins for good grip on wet wintry and snow-covered roads. The high proportion of silica ensures good grip on wet roads while the composition of the resins, originating from the Cool Chili technology of the WinterContact TS 860, make for good grip on snow-covered roads. This adaptive compound enables the new tire to match its adhesion to wet wintry and snow-covered roads – a key requirement for tires intended for use all year round. The tread design of the new AllSeasonContact also brings together proven elements of Continental’s premium summer and winter tires which are noted for their safety. By way of example, the directional tread has been adopted from the current family of winter tires. At the same time, the open tire shoulders ensure good aquaplaning characteristics. The rigid pattern of the tread surface with its low number of sipes ensures precision handling and short braking distances on dry asphalt. These are characteristics more typical of summer tires, which also need to deliver high levels of safety in the wet. The outcome is a tire ideal for use in summer and winter conditions, especially in view of the fact that in Central European winters it rains one day in three. In addition to its safe handling characteristics, the tire’s construction has been designed to offer the best fuel efficiency in its class. This makes it particularly suitable for cost-conscious drivers who rarely need to drive in extreme weather conditions. To achieve this level of fuel efficiency, the tire designers have created a perfect balance between material distribution, tire geometry and material thickness. A comparison of tread depths illustrates this point: While a typical winter tire has a tread depth between 8.5 and 9.5 millimeters, a typical summer tire now has between 6.5 and 7.5 millimeters. The basic rule here is that low tread depth also makes for good fuel efficiency. So with its tread depth of 7.5 to 8.5 millimeters, the AllSeasonContact sits right between the two specialists. When combined with the optimized sidewall geometry, this guarantees very low rolling resistance, helping not only to save fuel, but also to ease the load on the environment.